I had fallen for the city of Puebla almost 20 years ago. And you know how that goes, sometimes when going back to things you loved while young and are nostalgic about, there’s a risk of disappointment. Just the first night I was back, I felt myself fall for it all over again. After days of scouting, eating, researching, testing and filming with Cortez Brothers, I left with a disorganized mental list of things I didn’t even had the chance to try. 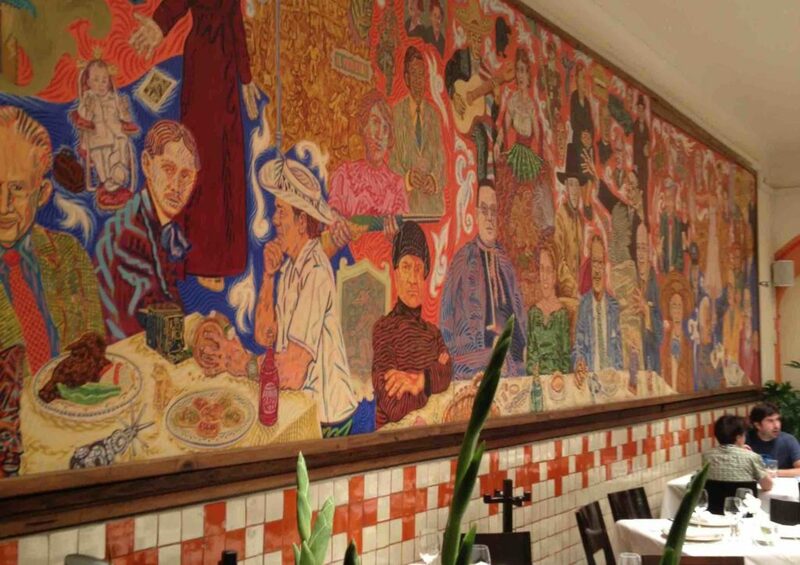 at El Mural de los Poblanos, one of the city’s top restaurants with to-die-for food. 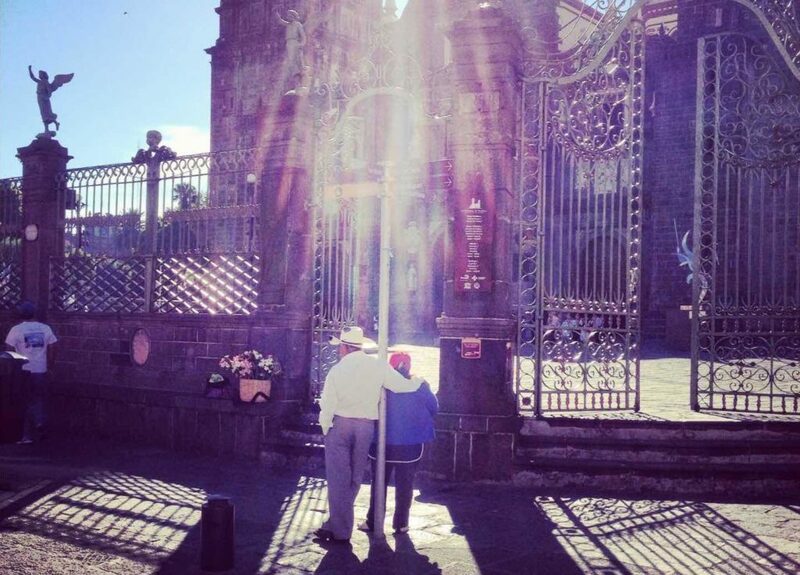 But what I fell for the most, were Poblanos-namely the people from Puebla. Poblanos will give you their time and attention, no matter how busy their schedule may be. And they will do it wholeheartedly with care and sweet enthusiasm. No wonder why, in the midst of a city where just about any random street gives you a thousand photo shots to aim at, Poblanos are falling all over each other. …despite posts, whether it rains or shines, and no matter what time of day. I mean, forget about hugging, there seemed to be a lot of kissing too (I am all for public displays of affection, because hey, we have just so much time on this earth and if someone is lucky to be with whom they love and they want to show it, I say go for it). 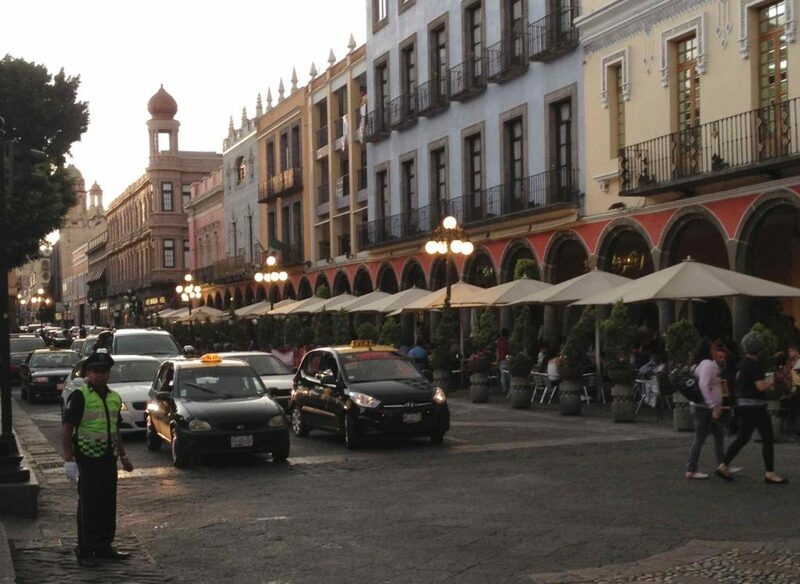 So, I fell for Puebla, which was to be expected. 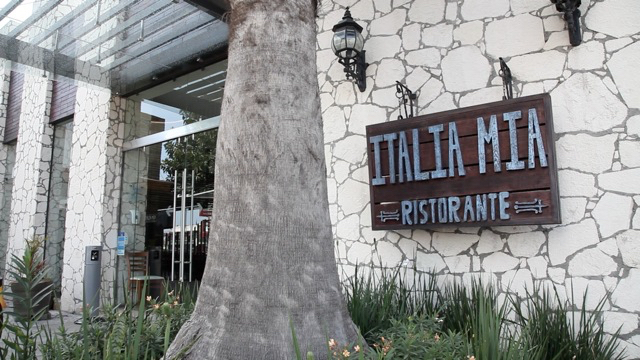 But what was totally unexpected in my hunt for tasting more scrumptious Mexican food, which is found in every corner of this city, was finding some of the best Italian food I have ever tried. 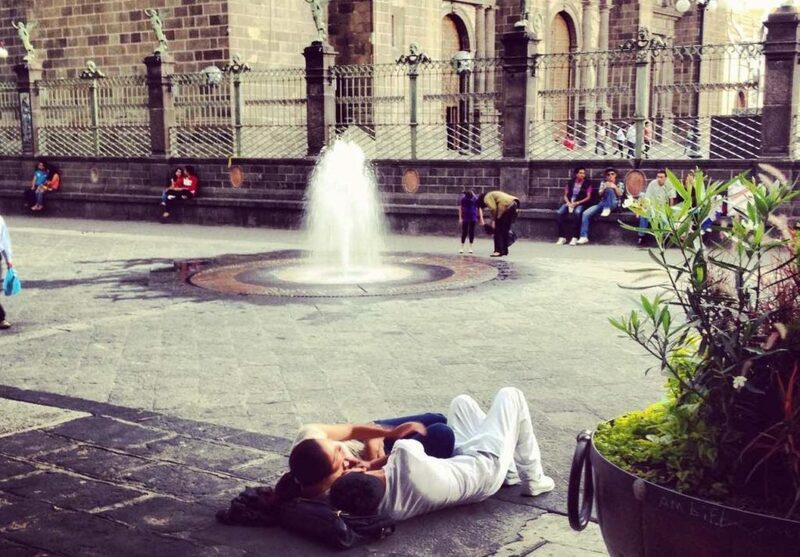 In the middle of the heart of Puebla. Luis Carpintero, the owner, had worked in restaurants and bars for most of his life -since he was a kid in his mother’s small restaurants. He fell in love with Monica and for years their dream was to open up a restaurant together. Since Puebla has such extraordinary Mexican food wherever you turn, they opted for Italian, which is their favorite after Mexican (like me…). A friend of a friend of a friend of Luis knew of a Mexican woman, who had gone to Italy 3 decades ago. She had fallen in love with an Italian chef named Piero Giangrande and dragged him to Tlaxcala, a neighboring state of Puebla, where he opened up shop. Luis and Monica sought him out and for ten years planned this Italia Mia endeavor. There is a large wooden oven for pizza and pasta made from scratch. About that pasta: I had such a hard time choosing which to have that I ended up sampling from everyone’s plates and still couldn’t decide. 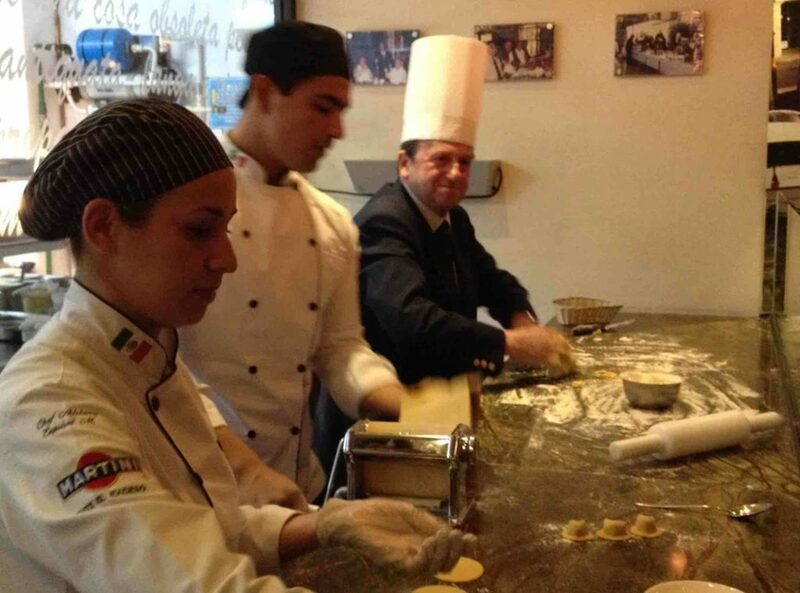 Chef Piero, watches over the staff as they roll out every single sheet of pasta. That one right there is stuffed with veal, pork, Parmesano Reggiano and Prosciutto, and it is served with a white truffle sauce that is as delicate in your tongue and as strong in its intensity after you swallow. Luis and Monica put their lifetime savings and the entirety of their hopes and hard work into this place. And you can feel it: sparks fly when they light up the bar (photo does not do justice to it really, it was taken with my phone). 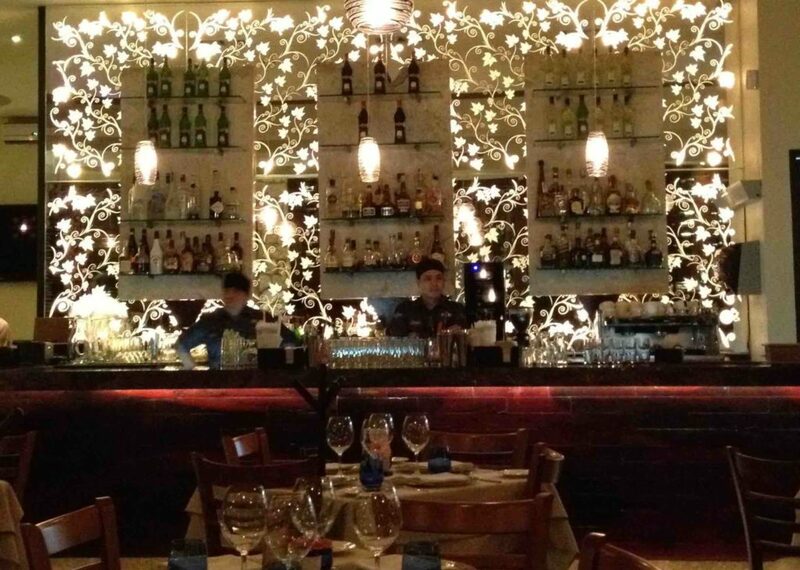 They have a Martini menu with 22 options where they serve, as Luis calls, tragos coquetos – flirty drinks. And flirt they do! The Cucumber Martini that Luis and Monica suggested I try bewitched me so, that as soon as I had the chance back in DC I ran to the liquor store to get Limoncello, one of its main ingredients. I even made it at a function last week and guests were marveling about it. 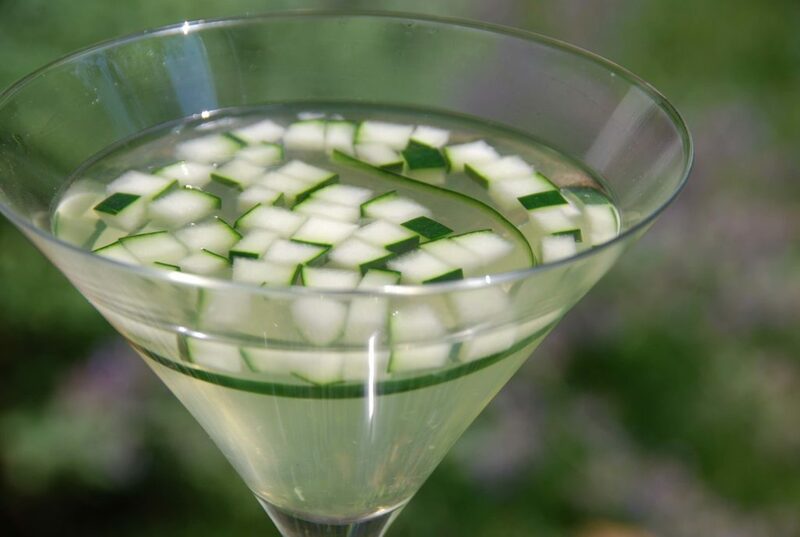 Cucumber in a Martini?!? Yeah, that’s what I thought. Try it: you will not believe how charming it tastes. 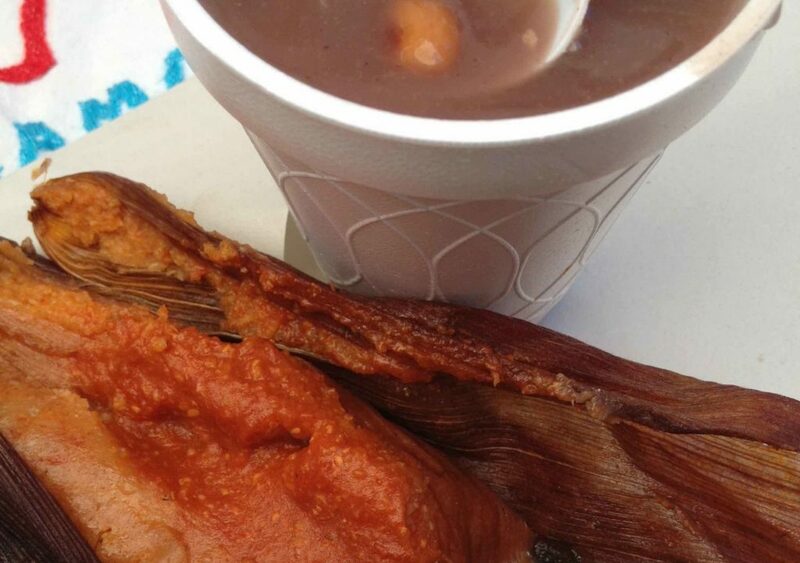 Just like Puebla, anything that I tried there, whether Mexican or not, makes me want to come back for more. 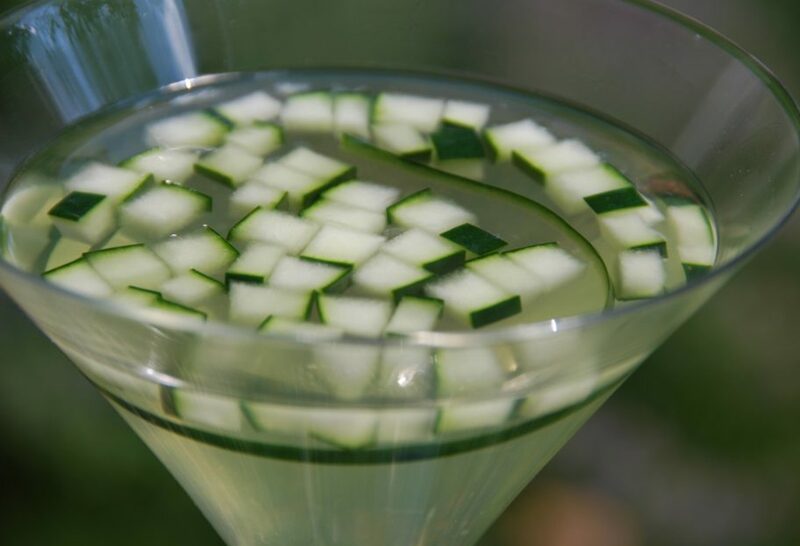 As you take each sip, you get the chance to munch on the diced cucumber, which has been soaking in the martini. When you try it, you will find the experience to be totally unexpected too. In an empty shaker or martini mixer combine all the liquors, slices of lemon and cucumber, and the syrup. Mix and macerate all the ingredients for about 5 minutes. If making a large quantity, let it sit in the refrigerator in a pitcher up to 12 hours. Dear party I just saw your show for the first time I loved it I tried 3of your recipes and loved the Santa Clara cookies, loved them , by any chance do you have more recipes for pastries? From them would love to bake for Mother’s Day presents for my friends thank you very much for letting people in other countries know about Mexican cuisine . Hola Bertha, Thank you so much for taking the time to write to me! I’m very happy to hear you found my show and have already tried the Santa Clara cookies. I have more recipes for pastries and sweets in my blog here: http://patijinich.com/blog/recipes/desserts/. Also, in my new cookbook: http://patijinich.com/book/. All of my very best to you. This sounds like it would be delightfully refreshing on a hot day. I wonder if it would be too “cucumbery” if you used Hendricks gin instead… it’s distilled with cucumber and is my favorite gin. It definitely has a different flavor and smoothness to it. sooo good! Hi Ruth, Go for it!! Let me know how it turns out with the Hendricks gin. I really like your recipes!! As a Mexican expat I’m always trying to surprise my guests with some tasty flavours from home, and your blog is a great inspiration! This recipe looks great! I love cucumber drinks!! alcoholic and non alcoholic! I have to say I haven’t try one with Limoncello yet but sounds yummy 🙂 please if you are in Monterrey,Mexico you should go to Sr. Tanaka in Plaza duendes they have (to my taste) the best sour and spicy cucumber martini ever!! I went there a few years ago and haven’t try one as good as that one. Hola GM, I’m so glad to hear you like my recipes! Thank you for the recommendation…I’ll have to seek Sr. Tanaka out if ever in Monterrey. Hola Abril, Eres muy amable. 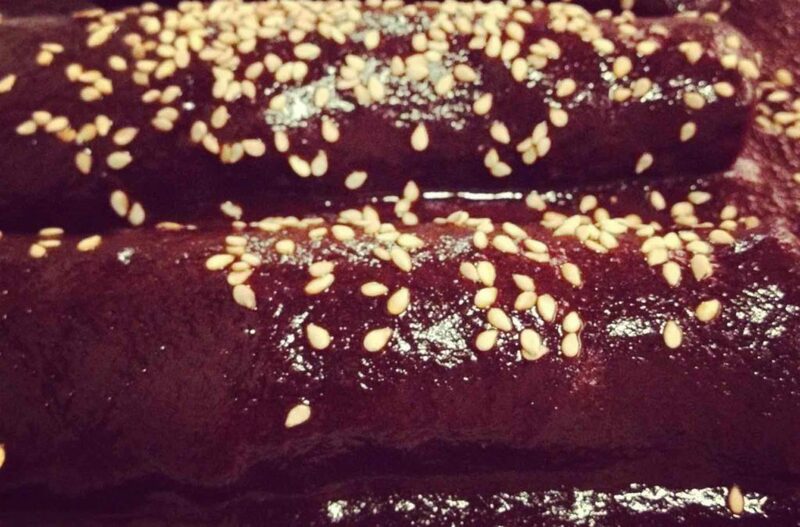 Estoy feliz que mis recetas te traen recuerdos. Muchos de estos platillos han estado en mi familia durante mucho tiempo. Gracias por tu atención! Dear Pati, this is not martini related but I wonder if there’s any source I can watch your show online. Sure I’d be willing to pay for that but in Germany I don’t have access otherwise. Hola Susanne, Unfortunately the episodes are not online yet. If we put them up, I will definitely let you know! Congratulations!!! picture are beautiful !!! Pati, this looks so delicious!! This might be a must-have for my weekend!